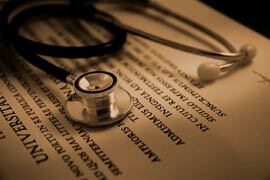 Home › FAQ › What Extra-Curriculars are Good to Become Involved In When Applying to Medical School? As you contemplate the best ways to approach you medical school application, you may be wondering about extra-curriculars that are good to be involved with when applying to medical school. A listing of and description of some of your important extra-curricular activities will be part of your medical school application, along with your grades, personal statement, standardized test scores from the MCAT, and requested recommendation letters. But how do you know which activities to include on the application, and which activities are the best ones to really help prepare you for the rigors of medical school and a career as a physician? Medical schools, like other graduate schools, understand that grades and test scores are only part of the equation when it comes to finding students who will make good doctors. The reason they ask about your extra-curricular activities is because they want to see the kinds of things that interest you outside of the classroom. What gets you really excited and enthusiastic? Which activities did you stick with for the long-term and show a real commitment to? And finally, what did you learn from those experiences? Obviously, those activities will be different for different people, but the important thing is that your extra-curricular activities show that you are well-rounded, according to PreMed Life. Showing that you can write excellent papers and take tests well is important, but becoming an excellent doctor requires that you know how to relate well with people, show empathy and compassion, and learn how to lead. Many of those qualities can be developed better outside the classroom than in. It makes sense that some of your extra-curricular activities should be related in some way to your passion for medicine and your desire to care for people who need medical attention. Volunteer activities in a healthcare setting, internships where you work with doctors, training as an EMT, taking a trip where you help people in need with medical issues, and other similar activities might be good ones to show that kind of dedication. However, doctors are real people with varied interests, and those varied interests start before you become a doctor. If you have a passion about sports, art, music, debate, writing, or any other activity, spending a lot of time involved in that activity can also be good. Many extra-curricular activities help you learn and grow as a leader, a communicator and public speaker, or as a part of a team. Every single one of those qualities can help you to become a better doctor. Showing a real commitment to one particular area of activity may be one of the ways you can best prepare to commit yourself to the challenging years of medical school, according to Prospective Doctor. Deciding on which extra-curricular activities are best suited to ready you for your medical school application is a highly individual process. It’s important to remember to choose activities not just to impress whoever reads your application, but activities that will actually help prepare you as a person for your schooling and career. Those are the extra-curriculars that are good to be involved with when applying for medical school.